Our Goal is to provide our clients with outstanding customer service by providing red carpet service from the very beginning. We know how important it is to find the right builder and we believe it is equally important to find the right client. We have nothing to lose by putting our best foot forward a developing a rapport that is based on honest and direct communication. We accomplish this through Balance. We will not over-commit our team and resources to multiple projects. 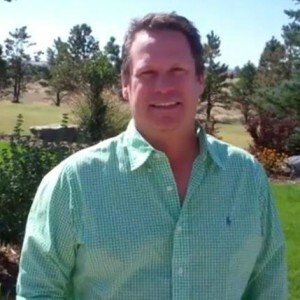 As key player in the Colorado market, Todd Peirce founded Summit Renovations after working in the residential speculative market for a number of years. As the owner of Selling Solutions, Todd and his company partnered with homeowners and investors to increase the value of their properties. Todd took care of raising the capital to finance the remodels, managed the design and construction and shared profits with investor/homeowners when the properties sold. During that time, he partnered with Denver Bronco Quarterback, Jake Plummer and Avalanche player Darcy Tucker. Selling Solutions continues to help people improve their properties to sell for profits. Feel free to inquire by calling. This experience inspired Todd to get into Design/Build Custom Remodels. With this inspiration he started Summit Renovations. Summit has completed over 6 million dollars in renovations in just 2.5 years. They specialize in Pop-Tops, hole house re-design and additions, and top notch kitchen and bath remodels. Summit Renovations Pioneered the Pop-Bottom by turning crawl spaces into amazing basements. Todd and his Summit Renovations team are well known for their integrity, creativity, and professionalism. They stand behind their word. His team of designers, architects, and tradesmen are all extremely vetted and have worked with Todd’s companies for years. Todd’s long list of satisfied customers is a true testament of his commitment to quality service. A little unknown fact about Todd is that his passion for construction and design started when he was doing fix and flips in California, while working as a commercial actor. Todd spent 14 years in CA working in Commercials for National Advertisers, Some of his past clients include, Charles Schwab with Peek-a Boo Street, Honda, Lexus, Target, Brute Cologne with Troy Aikman, Outback Steakhouse, and AT&T, just to name a few. Although commercials were his primary source of income, he definitely enjoyed the ride and got to work along side some of Hollywood’s A-List players like Brad Pitt and Arnold Schwarzzenger. Small parts – that lead to big life-experiences. Before that, Todd was a Regional Director for Best Buddies International, a non-profit organization that helps support developmentally challenged individuals. In this role, Todd reported directly to Anthony Kennedy Shriver. He managed programs in 13 states, overseeing thirty university programs. He coordinated annual fundraising events. While working hand and hand with politicians and celebrity figures, he helped to generate over $500,000 in donations alone. Todd carries with him the lessons and experiences of these earlier years into the commitment to quality and integrity of his business today.